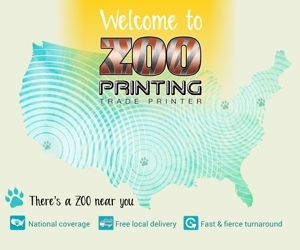 “Our studios are located in historic Woodstock IL is the setting for the film classic Groundhog Day. 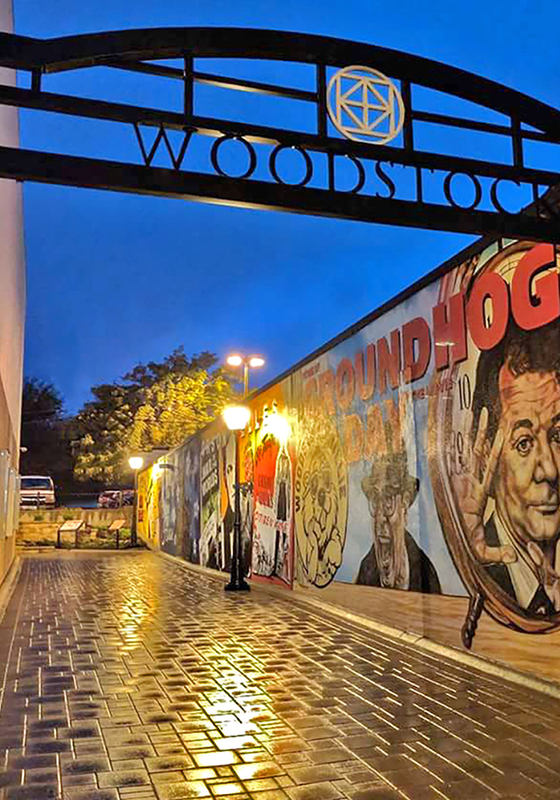 Thousands of Woodstock residents and visitors turn out, in freezing temperatures, at 7:07 am every February 2nd morning anticipating the groundhog’s prognostication. Thankfully, this year the little critter did not see his shadow, which according to groundhog lore, predicts an early Spring. Whew! 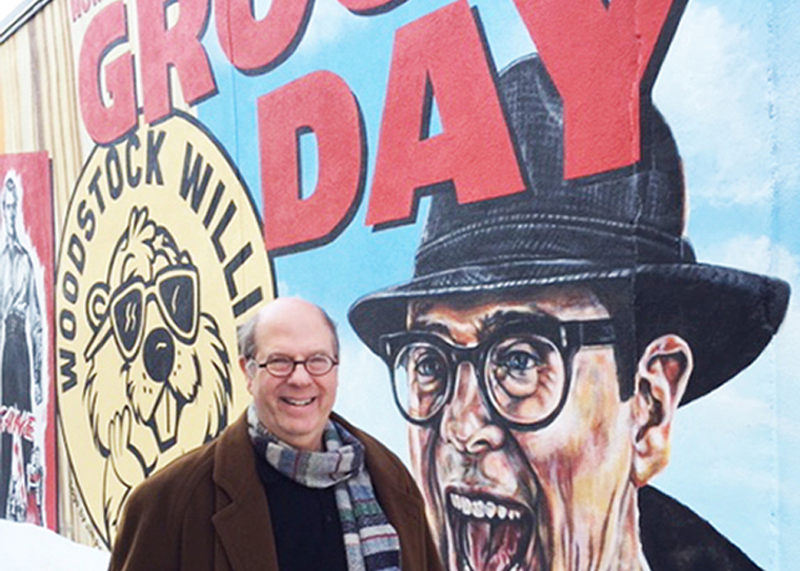 This year, Stephen Tobolowsky, who played “Ned Ryerson” in the film — Bill Murray’s foil and ultimately his insurance agent — returned to Woodstock as the guest of honor for our weekend-long festivities.